On Saturday, January 24, 2015, talented David Lefevre, the solo violinist with the Philharmonic Orchestra of Monte-Carlo and who represents the new generation of violinists, performed and conducted a concert of the Four Seasons of both Italian Baroque composer Antonio Vivaldi and Argentine Tango composer Astor Piazzolla, in a musical arrangement by compositor Leonid Desyatnikov, in what was a truly passionate confrontation. Vivalvi’s well known pieces recreated scenes conjuring the country life along the yearly seasons, versus those by Piazolla reminiscent of life in the buzzing city of Buenos Aires, Argentina. It was a concert full of flair in the magnificent Salle Garnier, the perfect backdrop for two musical genius. Among the many pieces composed for his Quintet, Piazzolla wrote The Four Seasons of Buenos Aires. In 1965, he composed Summer, as a an autonomous piece in the pure tango tradition. Later came Spring,, Automn and Winter in 1969. The four works, full of energy, combine diverse traditional elements, like jazz for its instrumentation and improvisation, classical music versus harmony and the cyclic structure of tango. 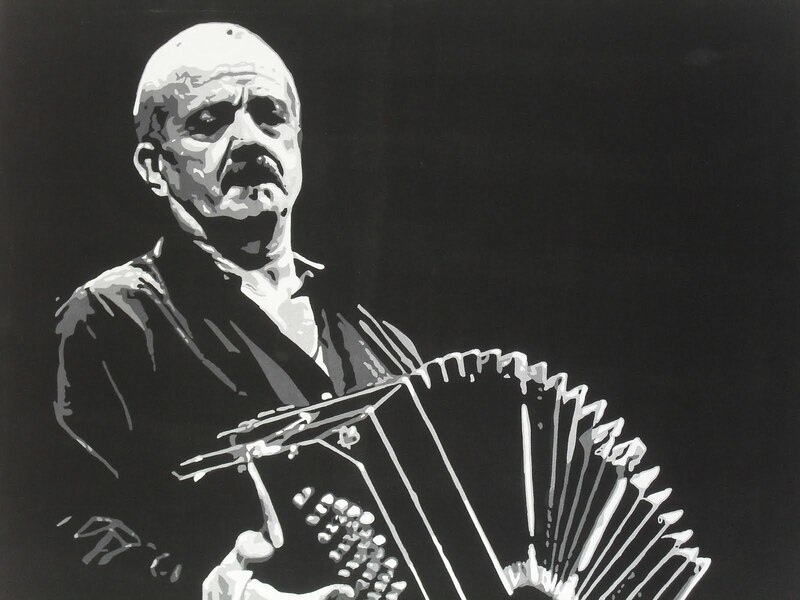 Innovative Argentine musician, director and composer Astor Piazzolla, better known as “El Tigre del Bandoneon” (The tiger of bandoneon) composed and performed music for the bandoneon, and fused tango with jazz and classical for a whole new sound redefining Tango for modern audiences. Born March 11, 1921, Piazolla became a master of the bandoneon (Argentine type of accordion) at a very young age. He formed his own orchestra, playing tango music, but he was fascinated by both classical and jazz. With a new group, Quinteto Nuevo Tango, he began experimenting with a fusion of all three generesand became known as the father and inventor of Tango Nuevo. At first the traditional tango community in his home country strongly rejected him, but eventually became a hit in the 1970’s and is now celebrated for his creativity throughout the world. Piazzolla died on July 4, 1992 his healtlh devastated by a stroke, leaving behind more than 1000 works and his legacy of the cultural infusion of Tango Nuevo that continues to influence the best musicians in the world of all generations. He created his own language, heterogeneous and rebellious, so unique it can be identified as his on only his.